Win The War On Frizz! Each product in the Eufora Smooth'n Collection is formulated with amino acids, vitamins and a unique blend of natural oils that work to strengthen and protect the hair shaft while delivering exceptional moisture, shine, smoothing and de-frizzing results. Beautifying Elixir provides the most advanced solution for damaged, dull, brittle and frizzy hair. Hair color is protected from fading and stays vibrant longer than ever before. Beautifying Elixirs™ do not contain: Artificial Aromas, Colorants, Sulfates, Sodium Chloride, Parabens, Phthalates, Gluten, Mineral Oil, Petrolatum, Propylene Glycol, Formaldehyde. 100% Active & CRuelty-FREE Formulas: Every ingredient has a purpose, no fillers. Beautifying elixirs™ is firmly against animal testing anD all of our products are cruelty-free. Eufora's top 5 tips for TLC! Flat hair dragging you down? The Eufora Volume Promise offers Boosting Solutions to Amplify, Define and Lift Lifeless Hair! AMP'd up formula now delivers more noticeable volume, softness and shine. Balanced Proteins, Botanicals and Keratin Amino Acids work to restore body to thin, fine and lifeless hair. Weightless conditioning formula won't leave hair parched and thirsty. Zero-weight conditioner. 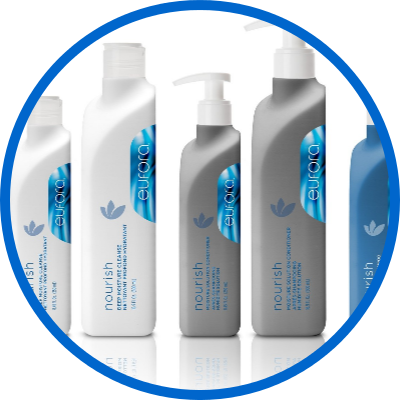 Increases body and adds manageability to fine and limp, lifeless hair. 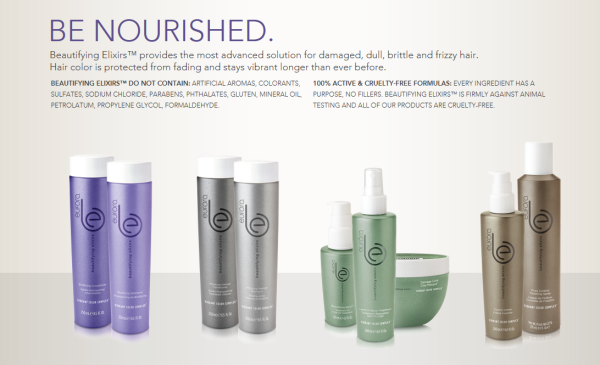 Eufora proprietary Protein, Vitamin and Botanical technology adds fullness, softness and shine. Convenient, larger 5.1 oz. size. A specialty styling prep product to add body and fullness to fine, thin and lifeless hair. Excellent for lift at the root. Provides control, yet still leaves hair moveable and touchable.